Winter Is Coming. Is Your Backup Generator Ready?Winter Is Coming. Is Your Backup Generator Ready? Winter Is Coming to Maryland. Is Your Backup Generator Ready? According to The Old Farmer’s Almanac, “winter will be colder and snowier than normal” here in Maryland. Is your backup generator ready? As of September 23rd, summer is officially over. The weather has begun to cool, the days are noticeably shorter, and, before you know it, the leaves will begin to change and fall from the trees. Autumn is in full swing, which means winter is not far behind. According to The Old Farmer’s Almanac, “winter will be colder and snowier than normal” here in Maryland. The coldest periods will be late December, January, mid-February, and early March. The snowiest periods, meanwhile, will occur in “mid- and late December, early to mid-January, and late March.” Are you ready? More importantly, is your backup generator ready? 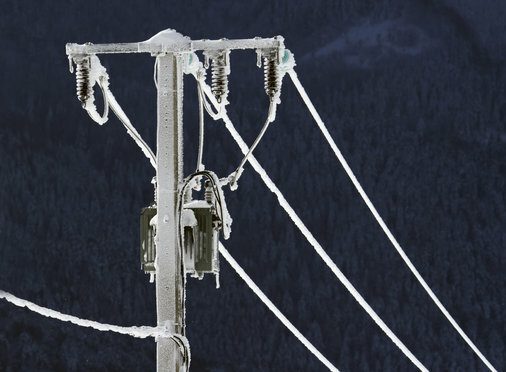 Severe winter weather, such as heavy snowfall, is a surefire recipe for power outage. A backup generator is designed to automatically kick in when your power goes out, delivering power directly to your home’s electrical system and backing up your entire home or at least the most essential items – refrigerator, sump pump, lights, air conditioning, heat, etc. Your backup generator is there when you need it most. But what if it isn’t? Without annual maintenance, your backup generator may not be ready when you need it most. Winter Is Coming. Fall Is the Perfect Time to Schedule Backup Generator Maintenance. You wouldn’t drive your car for several years without changing the oil, rotating the tires, and performing routine maintenance, right? Well, why not give your generator the same treatment? Just like your car, your backup generator needs its oil changed, battery replaced, and other maintenance items every so often. Click Here for a full list of backup generator maintenance items. TriStar Electric is proud to be a certified Elite Generac dealer. Over the years, we have installed and serviced thousands of these systems. Our Generator Maintenance Contract is designed to help ensure your generator receives the regular maintenance is deserves. Twice a year TriStar will come out and service your generator following a strict 22-point checklist. As an added perk, if you are under contract with us you will receive discounted prices on parts and labor as well as 10% off the cost of any electrical service work you hire TriStar Electric to do at your home! From our first visit through installation and maintenance, you will receive top-quality customer service from everyone here at TriStar. If you would like to know more about backup generator maintenance, please contact TriStar Electric by calling 410-799-5791 or 301-384-8880. We are available during normal working hours, and service most parts of Maryland, Washington, DC, and Northern Virginia. This entry was posted on Tuesday, September 22nd, 2015 at 5:59 pm. Both comments and pings are currently closed.